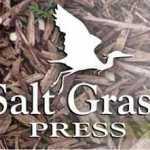 Salt Grass Press, run by graphic artist Chris Blum, publishes books for authors on various subjects such as fishing, history and astrology. Join Capt. Travis Brignon of Special T Guide Service to Fish for Speckled Trout, Red Drum, Black Drum and Flounder in the Bays and Flats out of Rockport, TX! Brisket - Pulled Pork - Spare Ribs - Sausage - Chicken - Homemade Sides, Sauces and Cobblers Real Texas Pit BBQ STEVIE LEWS BBQ KITCHEN offering CATERING as little as $3.99 per MEAL!